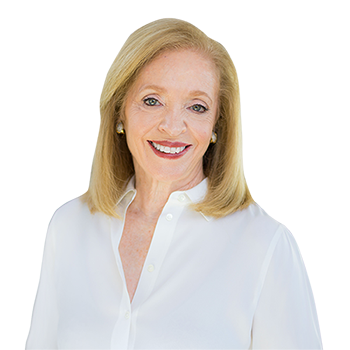 Having lived in the Greater Washington, D.C., area for more than four decades, Marsha considers herself a native Washingtonian. Marsha moved to Potomac, Maryland, with her family in the early 70s and sold her first home in 1979. Since then, Marsha has been a consistent top-producer taking the D.C. area real estate world by storm, helping to create memories for thousands of families over the past 30 years. Always working on behalf of her clients by managing with precision and great care the emotional transition of a house sale or purchase, Marsha�s number-one priority is to simplify the process for her clients. Taking the home sale as a personal event, Marsha guides her buyers through a purchase and her sellers through a sale. Marsha understands that buying or selling a home is a complicated process, so she brings to the experience a solution to all the moving pieces. For sellers, Marsha�s Rolodex of resources, from moving companies to workmen, stagers to schedulers, makes her clients� selling chores easier. And for buyers, those who are from here and those relocating to the area, her knowledge of the Greater D.C. area, from Potomac to AU Park, Georgetown to Gaithersburg, Spring Valley to Silver Spring is invaluable. Take a tour with Marsha, and she�ll describe neighborhoods with great energy, enthusiasm and history. Whether guiding a first-time homebuyer or a downsizer, Marsha is passionate about real estate and helping her clients make informed decisions. My husband, Andy and I are very pleased to endorse Betsy Schuman Dodek as one of the most professional and caring realtors we've had the opportunity to work with. She and Marsha Schuman were with us from start to finish, and beyond as we transitioned out of our home of 16 years. We count her as a friend and trusted advisor. We're very confident in our endorsement and highly recommend you meeting The Schuman Team! I highly recommend The Schuman Team! Betsy and Marsha helped our family move into a wonderful house in the Fallsgrove community in Rockville, MD, community and also sold our house in Potomac. They made the entire process smooth and were very responsive, patient, and knowledgeable. They were always willing to go the extra mile and even helped move some paintings during the move! We enjoyed working with Betsy and Marsha very much and would highly recommend them to other prospective home buyers or sellers.